PS I brought grandmother some of these and she called them pregnant cookies. I laughed way too hard at this! Preheat the oven to 350 degrees. In a mixer, cream softened butter and both sugars until well combined. Add in eggs and vanilla until well combined. In a separate bowl mix the flour, salt and baking soda. 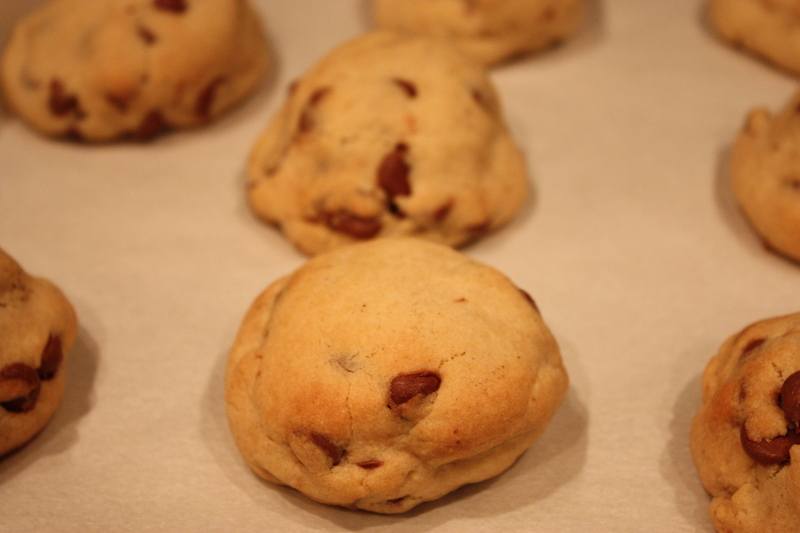 Slowly add to wet ingredients along with chocolate chips until just combined. Using a cookie scoop take one scoop of cookie dough and place on top of an Oreo Cookie. 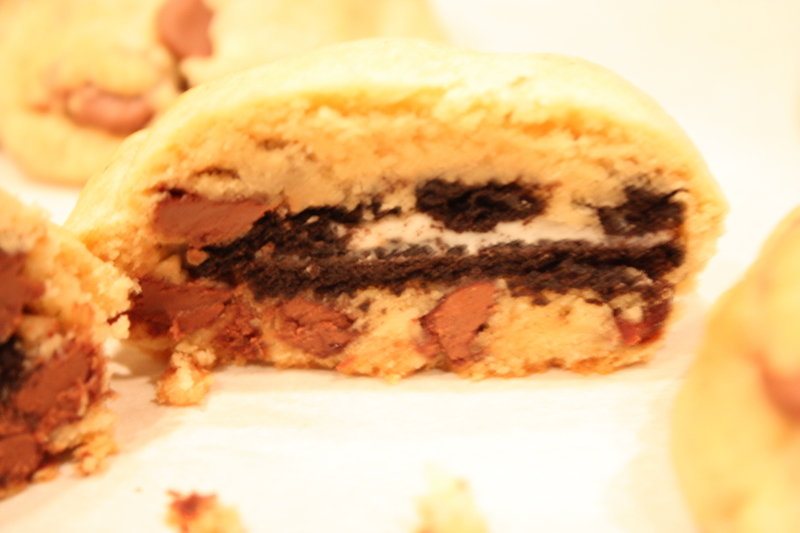 Take another scoop of dough and place on bottom of Oreo Cookie. 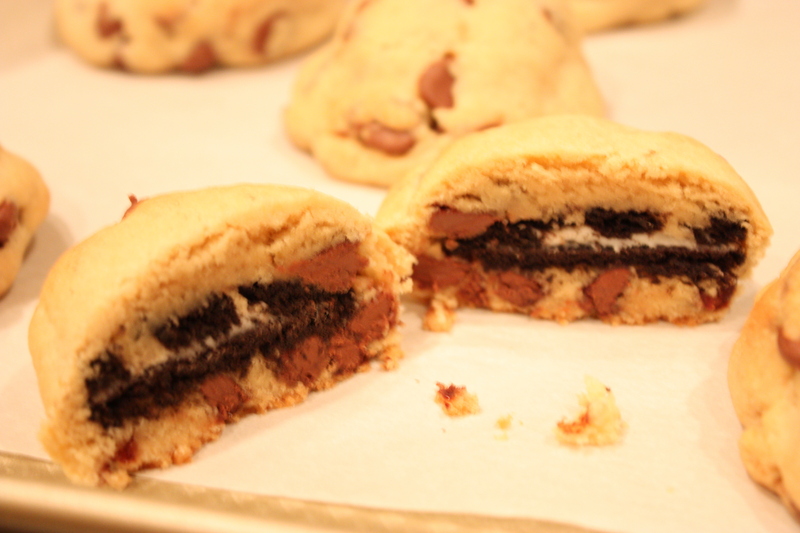 Seal the edges together by pressing and cupping in hand until Oreo Cookie is enclosed with dough. 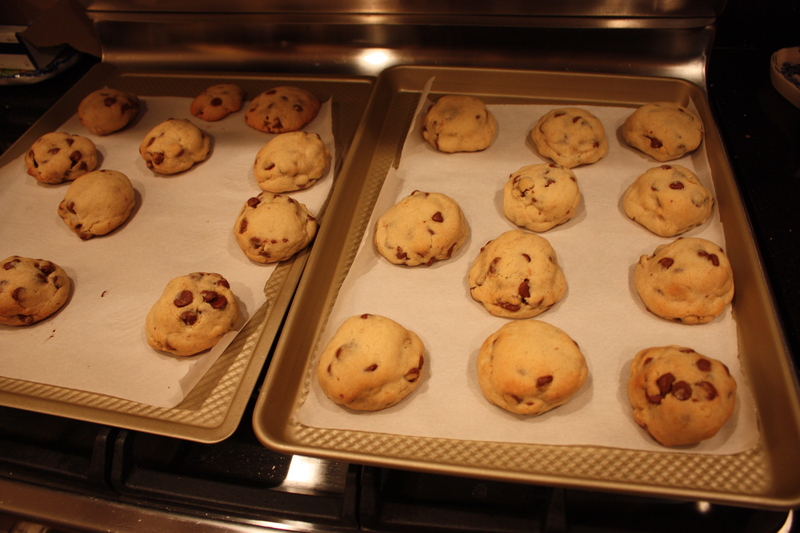 Place onto a cookie sheet with parchment paper and bake cookies 9-13 minutes or until cookies are golden brown. These things are HUGE! Enjoy!